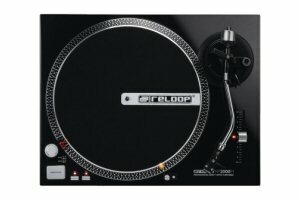 Due to its strong, quartz-driven direct drive, the Reloop RP-2000M does justice to professional expectations. 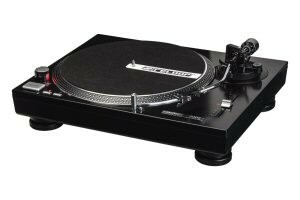 As opposed to belt-driven turntables, the RP-2000M transfers the engine power directly to the driving collar – this way, a superior torque generates power on the turntable in a much quicker way. The professional start button contributes to the exact-to-the-second-accuracy. This is a reliable, affordable tool.